Clevis includes pin and cotter key. 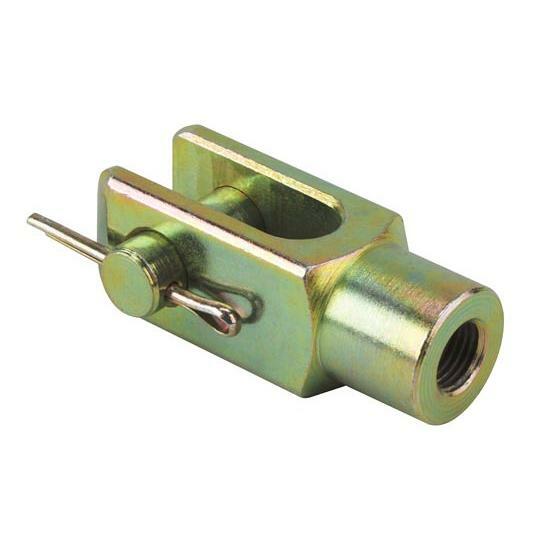 This is a neat clevis with many potential uses, including connecting a master cylinder or booster pushrod to your brake pedal arm. Overall length is 2”, and it’s tapped for 3/8” fine thread. Comes with a 3/8" diameter clevis pin and cotter key.